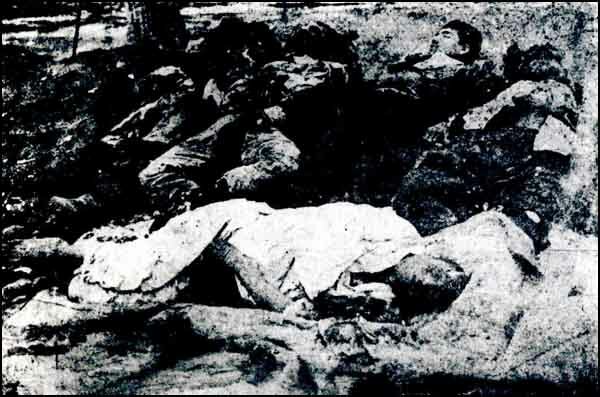 Home » News » Victims or perpetrators of the genocide? 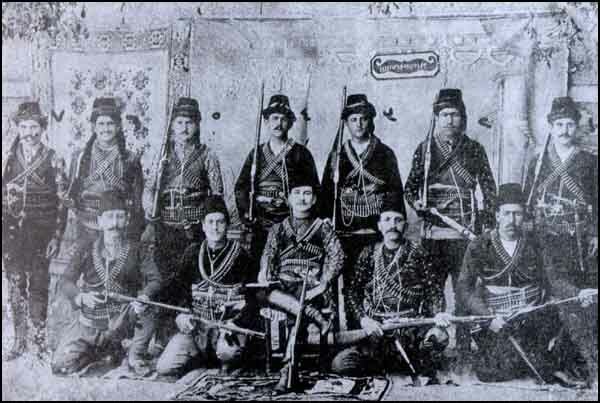 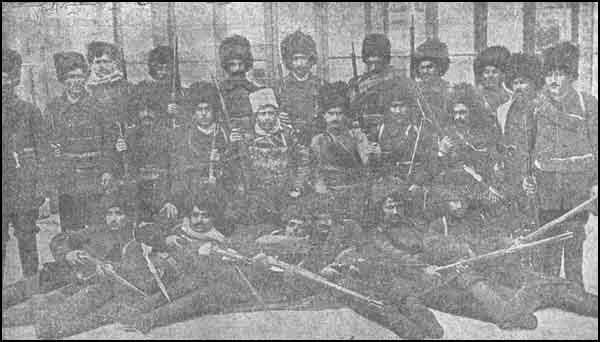 Second Company of the Armenian Voluntary Hinchak Regiment “Yerissart Hayastan” (Young Armenia) 20th July 1915. 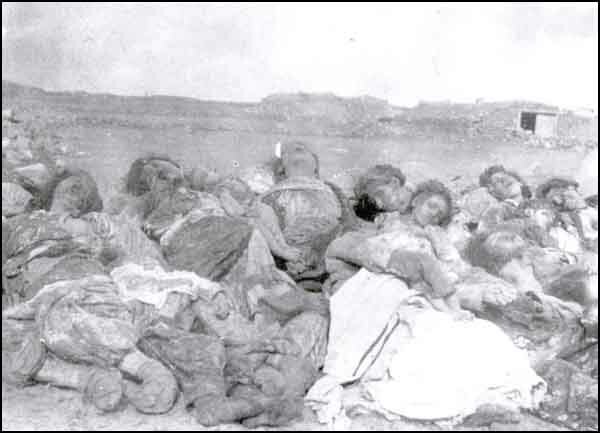 A group of Muslim women and children from Hizir İllias village, Diyarbakir, helpless and defenseless on account of the absence of their husbands and male relatives serving in the Army, were, on July 23, 1915, slaughtered at Mersin Dere, by means of daggers and shot by rifles in a most pitiless and horibble way by an Armenian Band under the the notorious and well known bandit Hono. 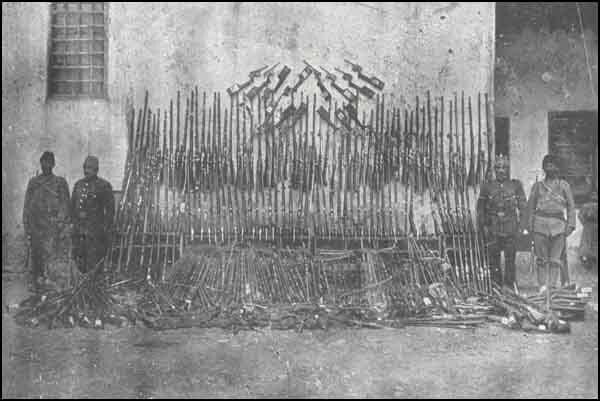 Some bombs seized at Ada-bazar together with tools to manufacture them. 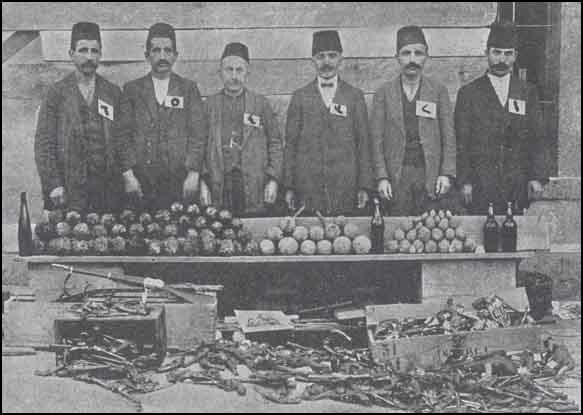 A few influential leaders of the Committee and some of its members whose duty is to make bombs and distribute them. 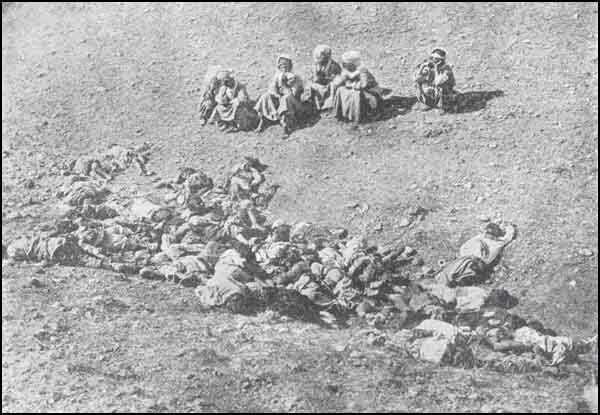 Those people were thrown in wells by the Armenians. 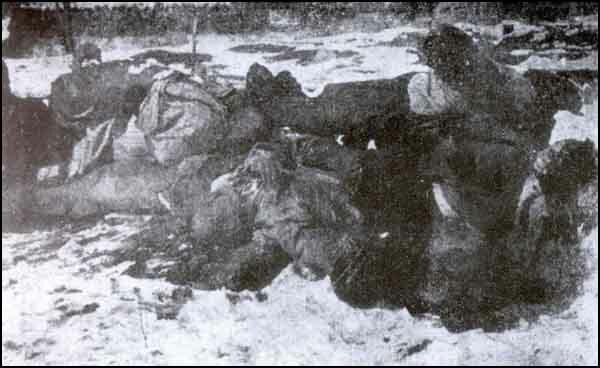 Some parts of their bodies were cut into pieces by axes. 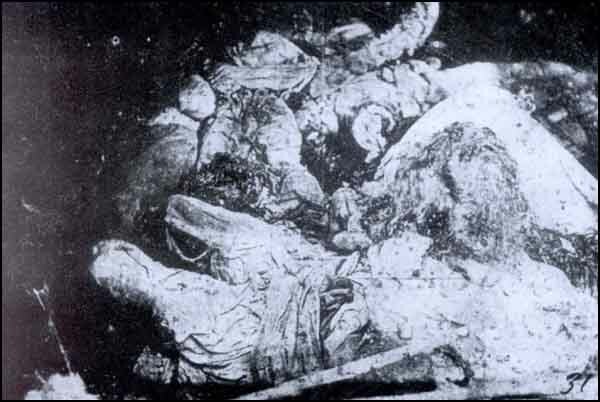 Found on February 10, 1918. 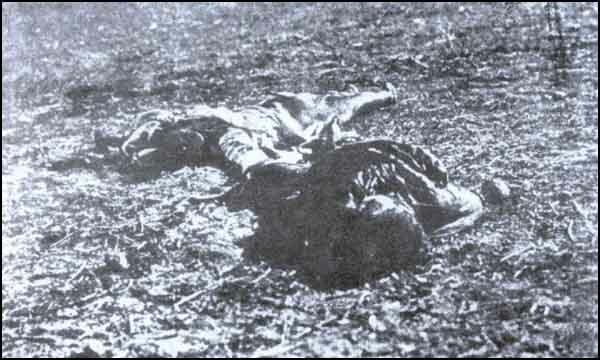 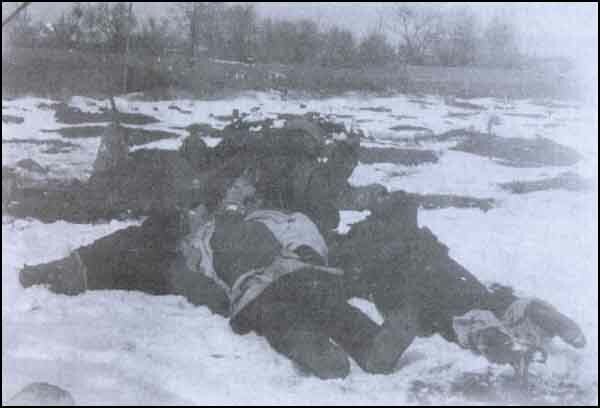 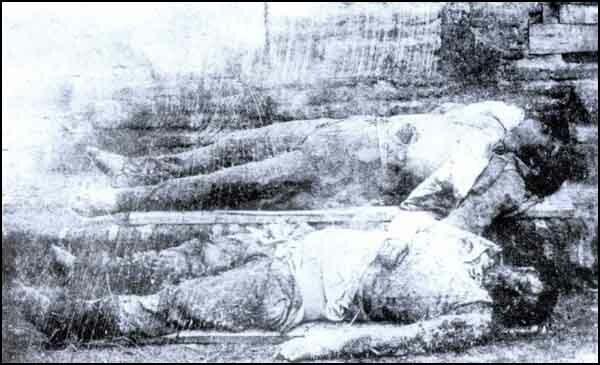 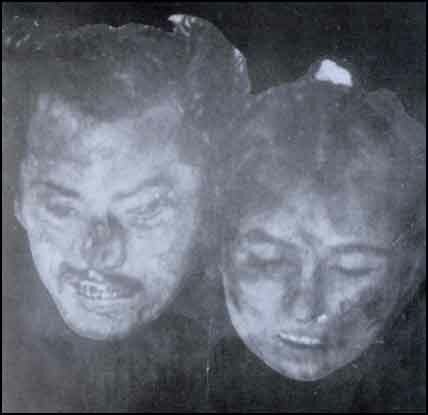 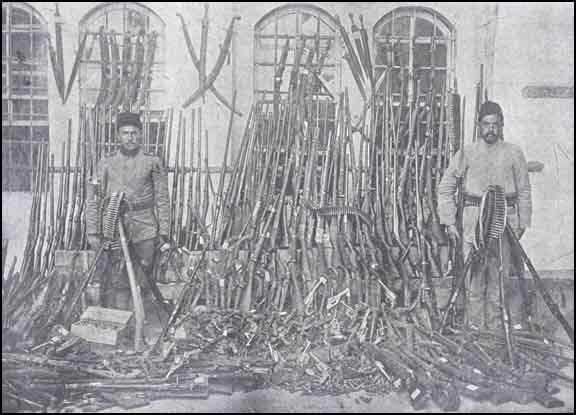 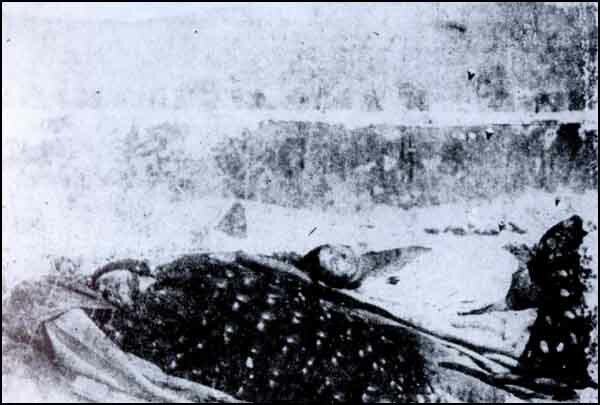 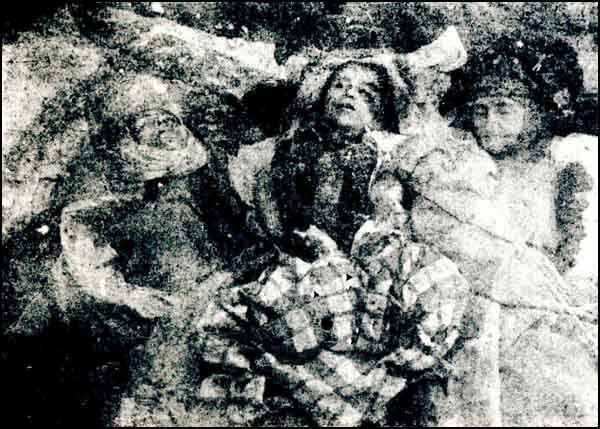 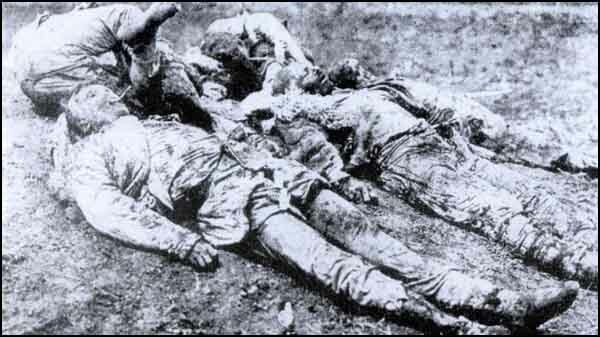 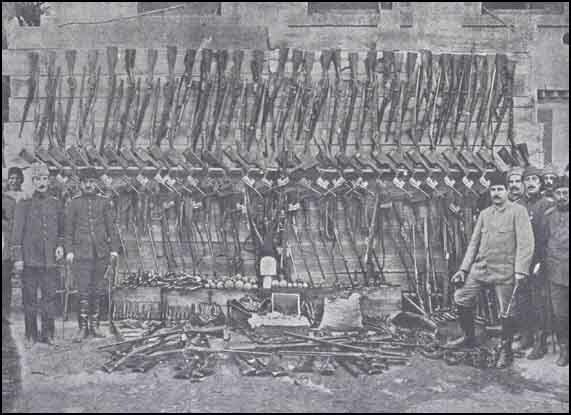 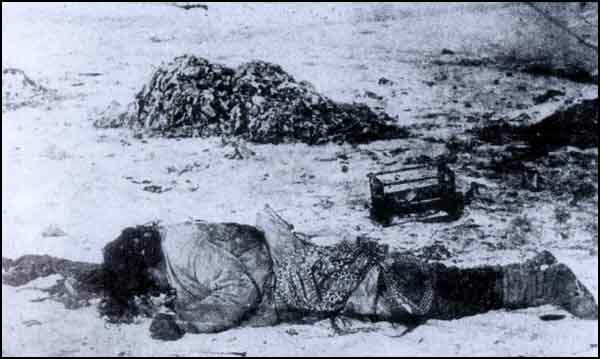 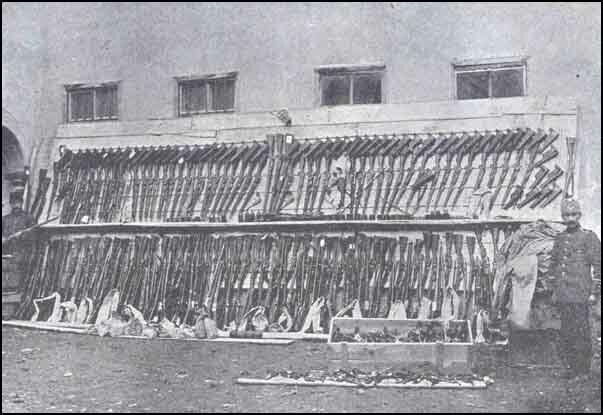 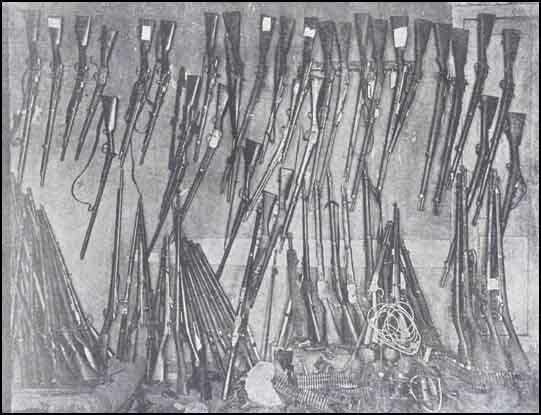 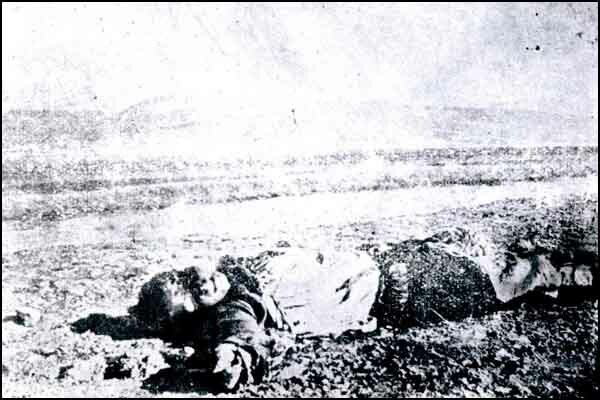 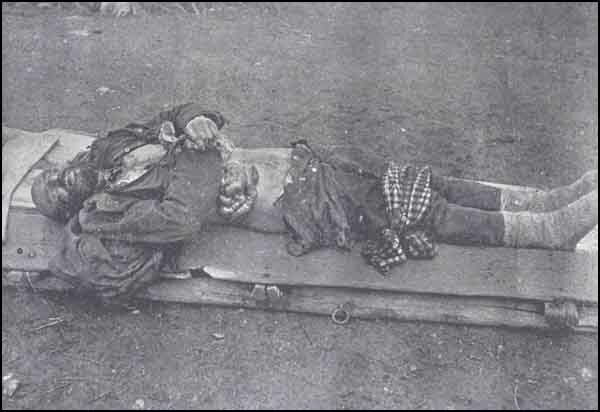 Photo, taken on the spot, of some of Msulim victims assassinated with hachets by Armenians in the village of Koollar. 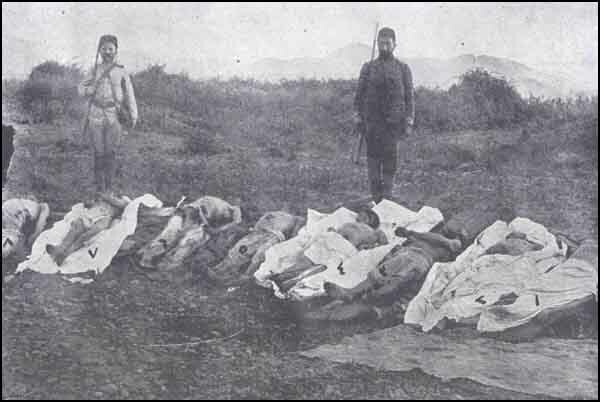 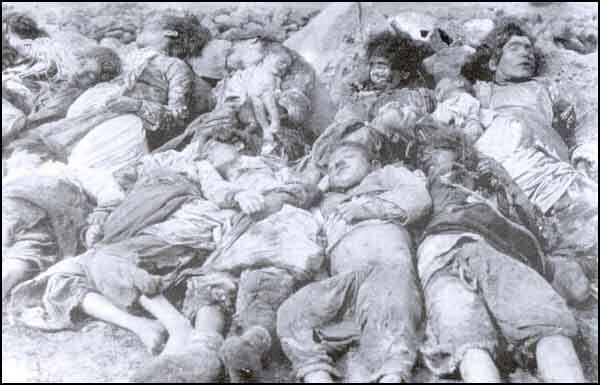 Turkish children and women killed by the Armenians. 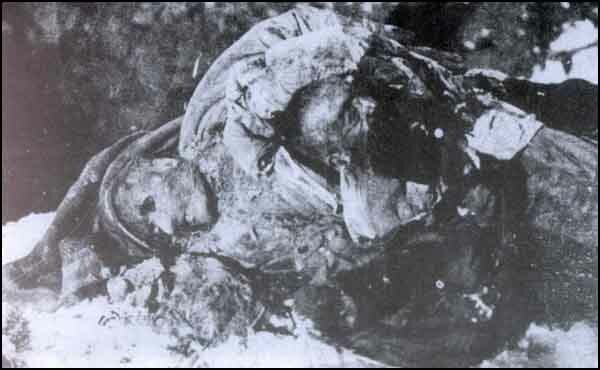 Some of the women were killed by taking the babies out from their wombs. 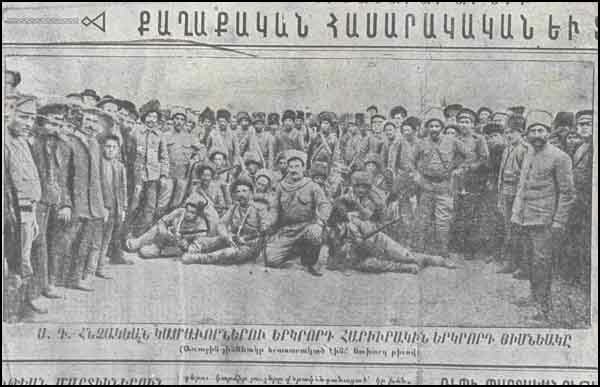 Subatan, April 25, 1918.